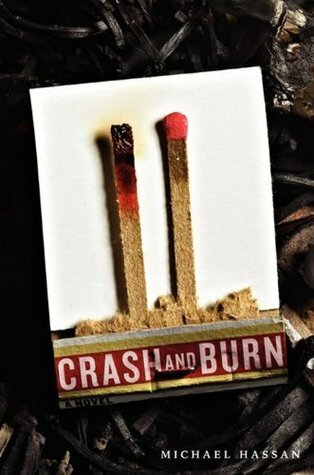 Crash and Burn is such a controversial novel, being one of the few books I’ve read that tackle school shootings or heists of any kind. Yet, despite the plot building up to that moment, the actual premise is learning about Crash and Burn themselves and how they constantly find themselves “connected” within different events. I felt like Hassan was trying to deliver a profound message to readers, yet for some reason, a lot of it was lost on me or perhaps not thoroughly explored as I had wanted. I would’ve liked for Hassan to delve further into why school shootings/heists occur and why it has increased in the past few years. Instead, Hassan pulled together a story delivering the highs and lows of teenage high school students, including building relationships, dealing with hypocritical parents and the effects of drugs and alcohol. Once I realised it was going to be different to what I expected, I began to enjoy Hassan’s refreshing, albeit somewhat glorified, version of teenagers juggling their life responsibilities with their own desires. Each character had their own voice and persona, which was the strong point of the novel. They each were memorable, which I find surprising because I tend to really only remember the protagonists in other novels. In saying that, Crash and Burn didn’t have much of an impact on me. I’m not sure why Hassan wrote Crash the way he did, but there were moments in the book where he came across as really misogynist and ignorant, which you might look past because of his age, but didn’t sit well with me. If I had to justify it I would say that Hassan might be trying to highlighting the problem with high school boys and their infatuation with girls, more specifically their bodies. However, if that was the case I don’t know how successful that was delivered because Crash was written so much like a hero that everything he did didn’t read as negative or wrong. There was a strong focus on the over sexualisation of girls and their use as objects to reinforce masculinity, but no message around how unacceptable that is and that girls should be treated with respect. That was probably my biggest issue with Crash and Burn. Roxanne, Burn’s sister, was my favourite character. I found her to be the most realistic and relatable out of everyone else. It was so striking and somewhat terrifying that whilst reading about her I was envisioning a younger version of myself. The main focus of the story was the secret, which was revealed at the end. I did find the secret to be shocking and saddening. However, Crash never goes on to explain it. I really, really just wanted to know the reasoning behind Burn’s actions but I was left with so many questions and the fact that the novel ended the way it did was really unsatisfying. I enjoyed Crash and Burn for being different, and trying to somewhat explore the issues that teenagers face and should be addressed in everyday life. I’m just not sure if it was delivered appropriately and I guess that’s where I find Crash and Burn to be an interesting but not amazing read.